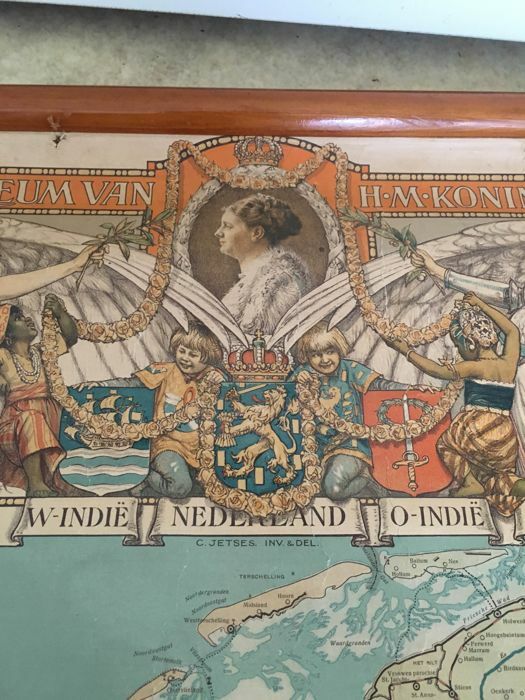 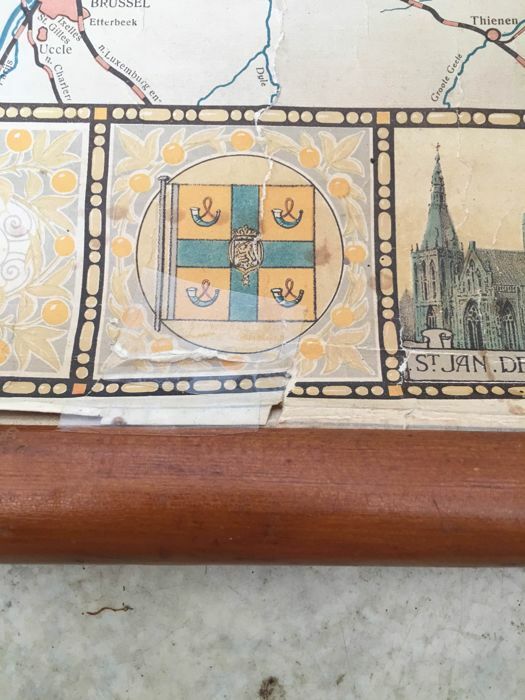 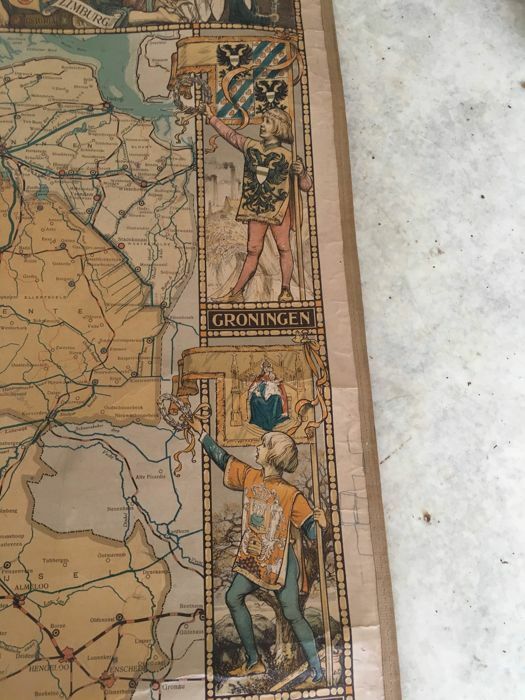 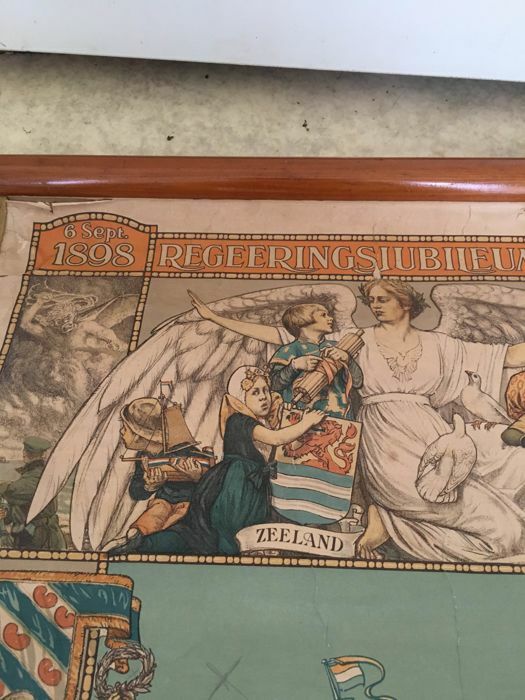 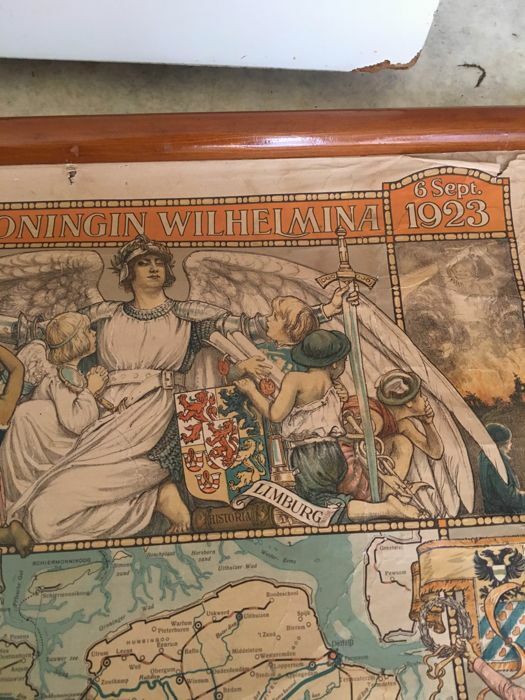 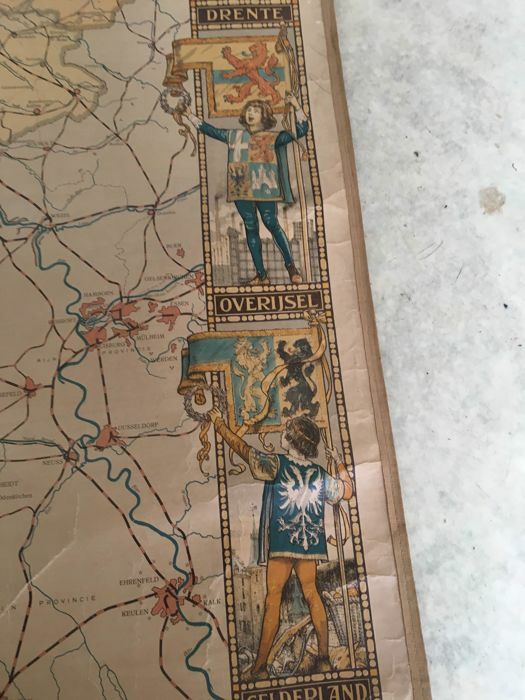 Very old map of the Netherlands with image of Queen Wilhelmina It is a map of her Jubilee 6 Sept 1898. 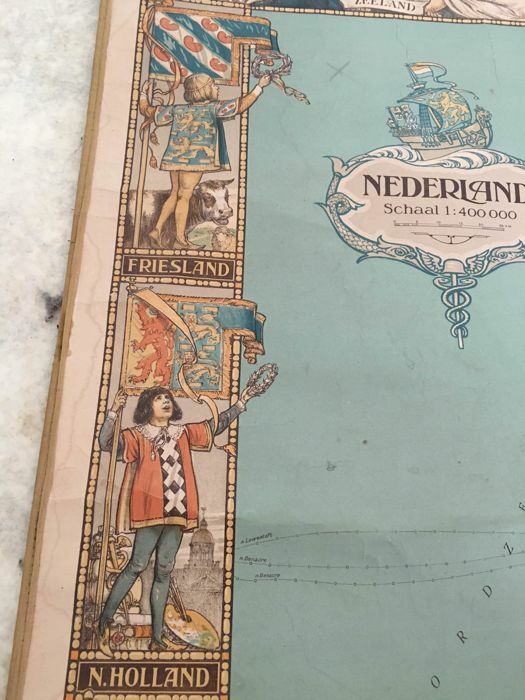 /6 Sept 1923 also with images of all the provinces of the Netherlands in used condition. 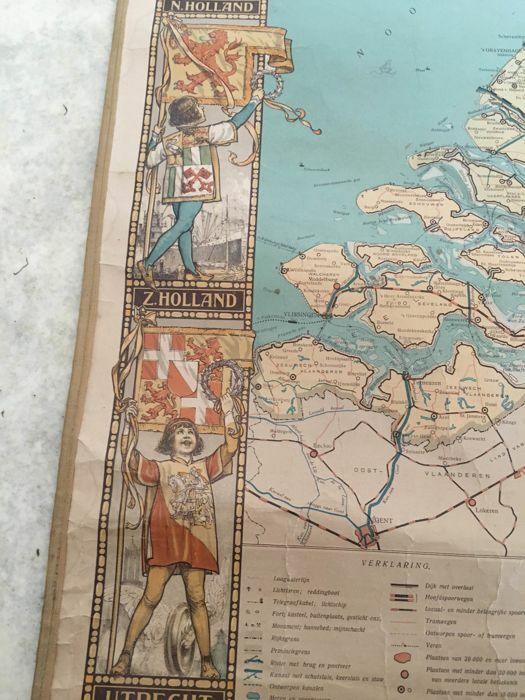 Map showing some flaws, especially at the bottom. 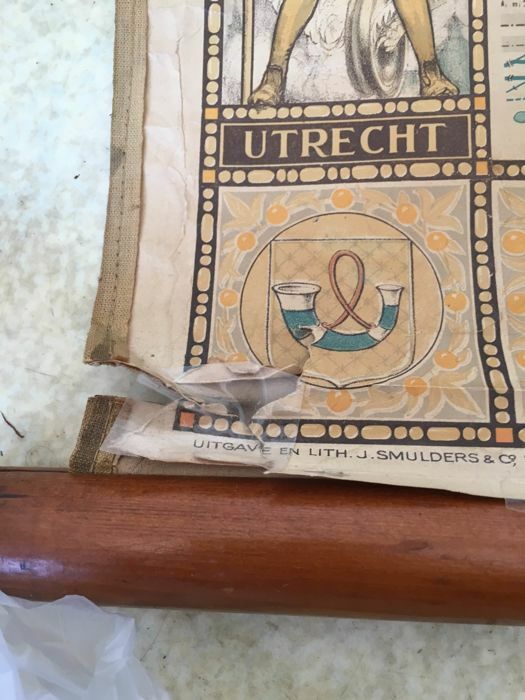 Edition is lith j smulders and co s-gravenhage. 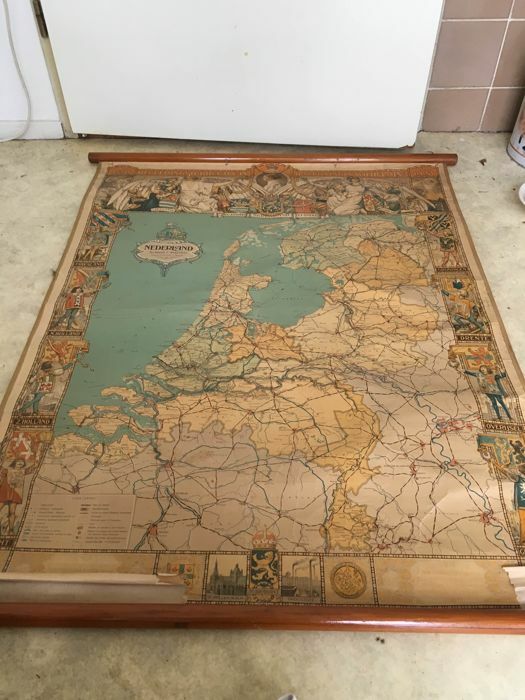 Bottom is somewhat damaged length is 108 cm. 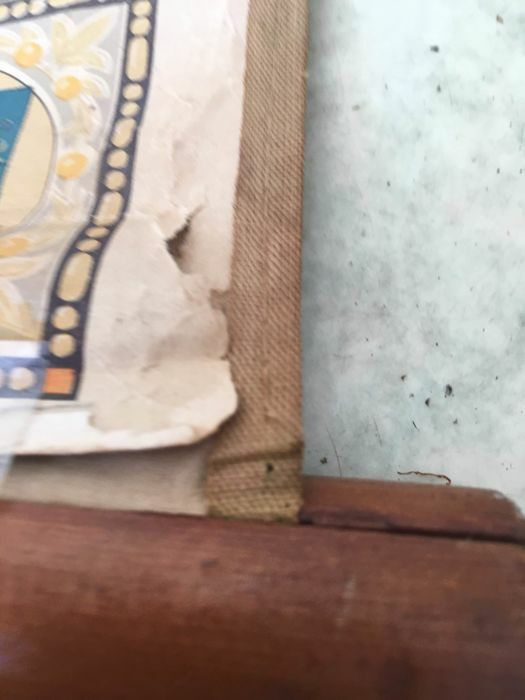 Después de 20 días no he recibido ni contestación ni información alguna.